The holiday season is nearly everyone’s favorite time of year. It’s no wonder—good company, delicious food, and fun traditions are enough to win anyone over. If you feel like a piece is missing from your holiday puzzle, though, it may be time for a change of scenery. If you still haven’t solidified your plans this year, we invite you to come and experience Christmas in North Georgia! Here, the crackling fireplaces are warm, the mountain scenery is beautiful, and time seems to slow down. For a complete list of everything that makes our area so special during this time of year, be sure to unwrap your complimentary North Georgia Vacation Guide, our gift to you! You’ll find that Habersham County is the best place to get into the holiday spirit! Early each December, the county heralds the beginning of the Christmas season with a fantastic Christmas parade in downtown Clarkesville, Georgia. Be sure to check the official Habersham County Christmas Parade page for updates! The festivities at previous parades included crafts, food, games, and a visit from Santa Claus. Another way to ensure you’re experiencing the best North Georgia Christmas possible is to venture to downtown Clarkesville! “A Downtown Clarkesville Christmas” is a celebration of all things merry and bright. It promises to be a memorable experience for you and yours; our quaint and charming town comes to life as it’s decked out in its holiday finest! Aside from the iconic Tree Lighting Ceremony, visitors enjoy complimentary hot cocoa, a visit with Santa at the downtown Clarkesville gazebo, an Elf on the Shelf hunt, and extended shopping hours. North Georgia is much more than just a historic and pastoral destination tucked off the beaten path—it’s an outdoorsman’s paradise! Even during the cold winter months, our little corner of the Blue Ridge foothills are packed with opportunities for hiking, biking, horseback riding, zip lining, and wildlife-spotting. For some truly spectacular winter views, we recommend checking out one of the many North Georgia hiking trails during your trip. There’s no better way to warm up on a chilly day than participating in a wine tasting! There are countless North Georgia vineyards to visit, and each offers a unique take on the region’s locally harvested varietals. Venture into Yonah Mountain Vineyards for an incredible view of sprawling vineyard hills and Mount Yonah looming in the distance. Serenity Cellars is just five minutes away from Yonah Mountain Vineyards, so you can pair the two for a truly incredible double wine tasting! Both of these wineries sometimes feature special events and live entertainment, so be sure to check their calendars before arriving. 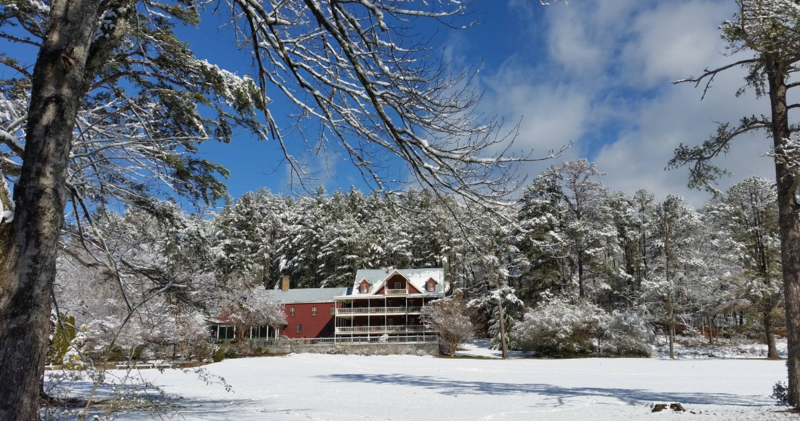 Cozy Up at Glen-Ella Springs Inn This Christmas! This Christmas, dare to do something different! Located on a country road in Clarkesville, Georgia, we offer an incredible, low-key experience you won’t find anywhere else. 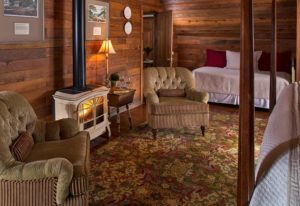 Whether you choose to celebrate in the great outdoors or in downtown Clarkesville, you’ll want to stay at Glen-Ella Springs Inn, one of North Georgia’s most beautiful and historic accommodations. You’ll love your guest room’s hand-picked, elegant decor and open-air porch overlooking the natural beauty that surrounds. If you’re planning on enjoying at least one high-end holiday meal complete with drinks, decadent desserts, and plenty of peace, you don’t even have to leave the inn! Our acclaimed on-site restaurant offers everything you need to savor a memorable Christmas meal. You’ll love our delicious complimentary breakfast, too! It’s never too early to make your Christmas plans! Check our availability today and start looking forward to a unique holiday celebration! We can’t wait to host you.